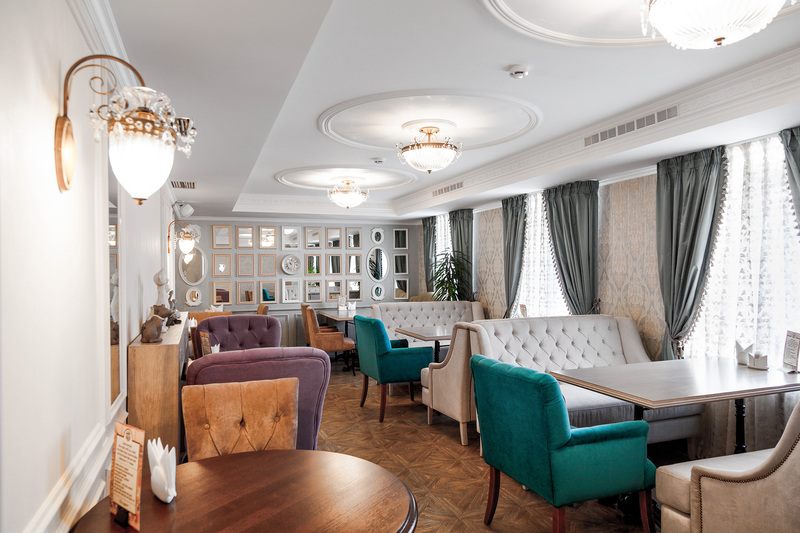 Restaurant "Cruchon" and cafe "Melange", located in the Renome hotel, offer the perfect combination of elegance, refinement, French traditions and Russian hospitality. Breakfast, lunch or dinner in a cozy Provencal atmosphere, what could be better? 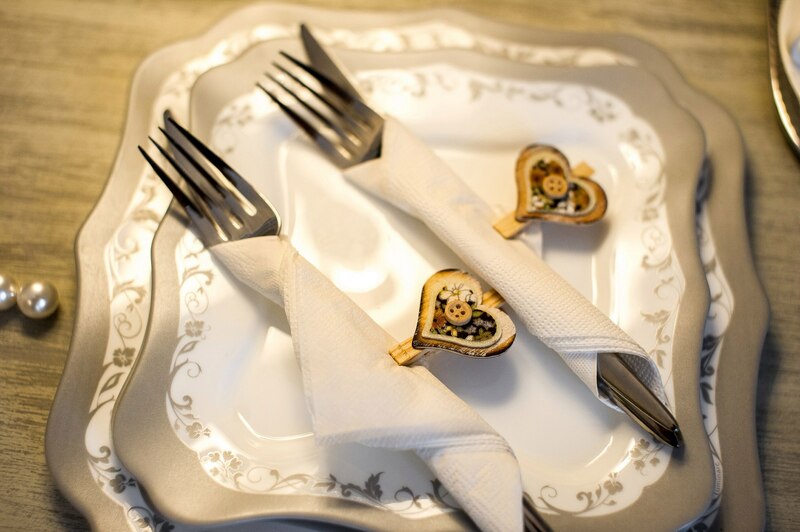 The variety of dishes cooked with soul and love, without a doubt, you will find something to your taste, and delicious desserts in the French author's design are able to please even the true gourmet. 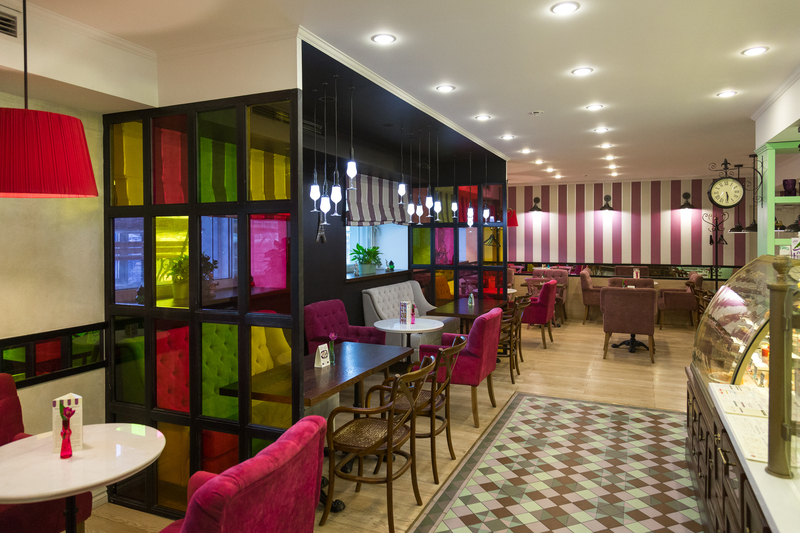 Сrushon is a small part of modern Europe with its best culinary traditions in the center of Yekaterinburg. Here our guests can enjoy a delicious home-style cooking in a cozy atmosphere. Our restaurant’s name Crouchon is translated from French as “little jar”. 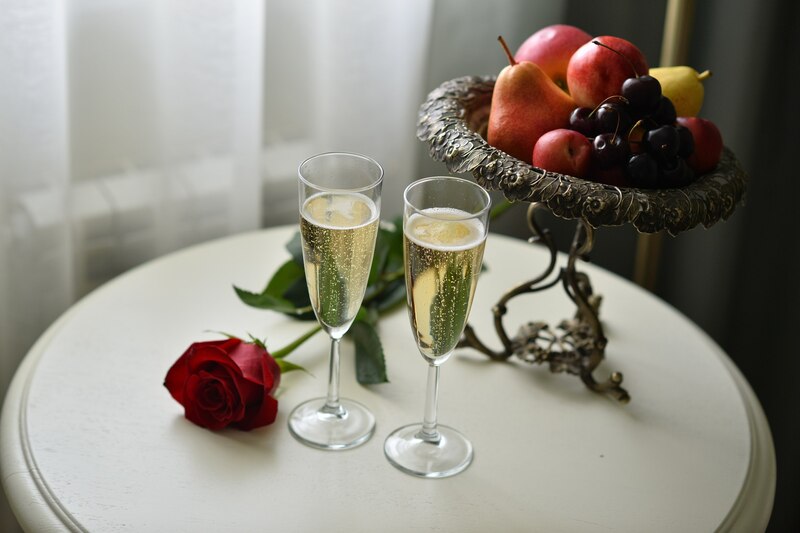 And it is exactly in a jar or special bowl for cold fruit punch that Crouchon is served in, it is a mixture of wine and fruit liqueur, with addition of Champaign, mineral water or other kinds of carbonated water. Sweet, vivid Crouchon is a symbol of festivity, pleasure and joyful life. Of course in our restaurant you can find alcoholic and non-alcoholic Crouchon, this exquisite, original beverage combining plenty of different flavours. If you have an eye for high quality food and like to visit exquisite restaurants – you have come to the right place! 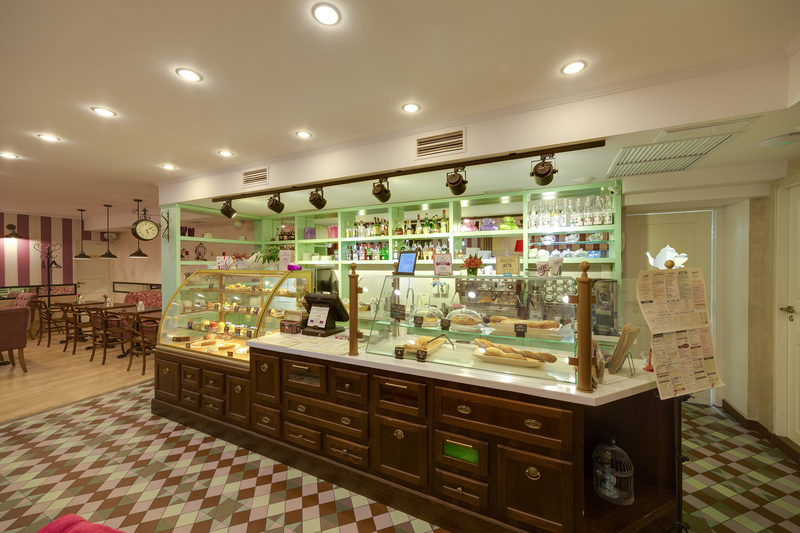 French Cafe-Boulangerie-sweet "Melange" offers a wide variety of confectionery and desserts of traditional and modern French cuisine. Delicious coffee or selected tea with a delicious dessert or a full French style lunch - just make your choice! 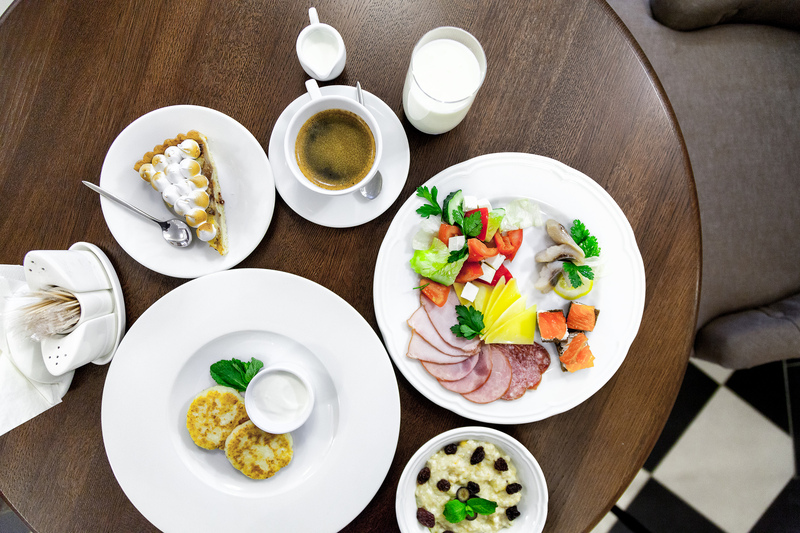 You can start your day with a delicious breakfast for which we choose tasty and healthy products: everything to make sure that you have met the perfect morning in a cozy atmosphere. 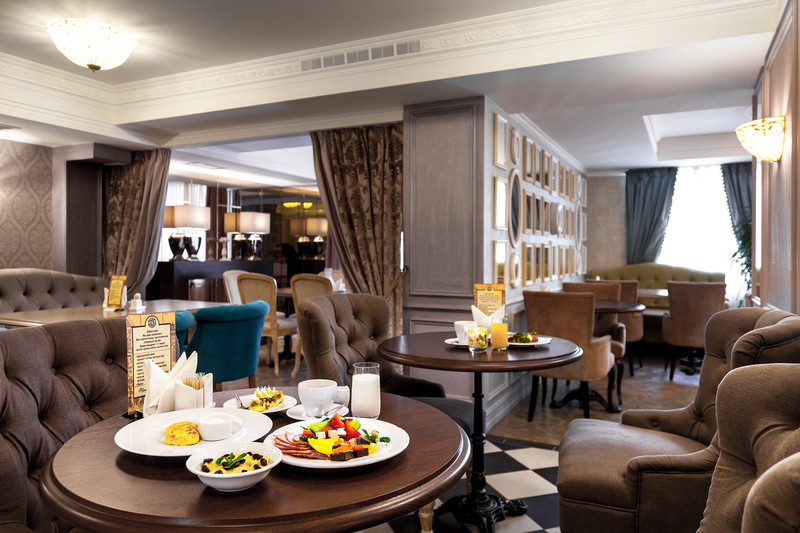 In the restaurant of provencal cuisine "Cruchon" you will enjoy a hearty breakfast "buffet". You can enjoy the taste of your favorite dishes without leaving your own room! We are glad to offer you room service till 01:00 a.m.
Amazing evening in the cozy atmosphere of the restaurant "Krushon"! Specially for our hotel guests special offer is valid - a delicious and hearty business dinner at a great price! Be sure to check out our provincial cuisine and elegant interiors! Hotel "Renomme" opens the special post office! Incredibly nice to get an unusual greetings from another city! Even a couple of lines written by hand can be a pleasant surprise for a friend, colleague or loved one. From now you can send amazingly beautiful card absolutely free! Yekaterinburg is a good place not only for business but also for tourism. Our Special Weekend Offer is for those who want to see the city. 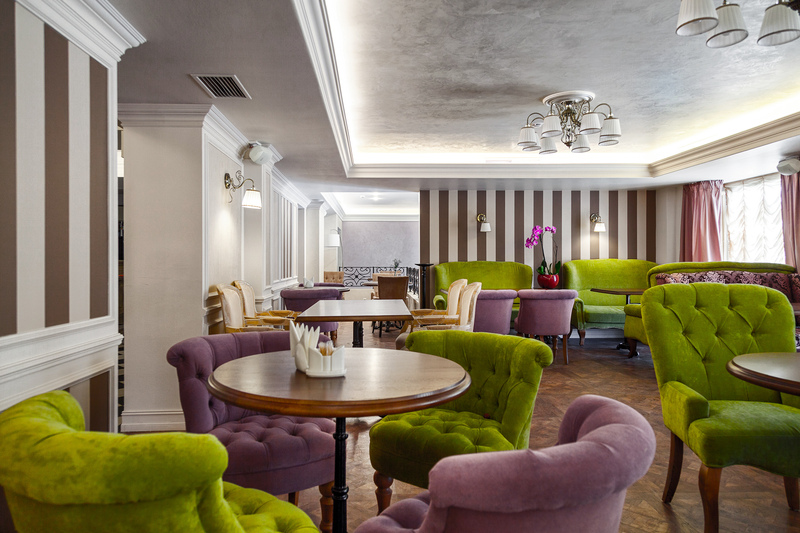 Choosing Renomme Hotel you'll have all most important and famous sights within walking distance, perfect service and maximum comfort in our wonderful design interiors. Special discount for arrival on Friday and Saturday. We appreciate healthy and deep sleep of our guests. It is well known that comfortable pillow is one of the criteria for an excellent rest. Hotel provide rooms with down-feather pillows produced by “Joutsen” (Finland) and “Nordicform” (Norway). We offer for your choice other options from the menu of pillows of Renomme hotel. Fitness-Center is opened at the hotel! The new modern and cozy fitness center and sauna is open to guests of the disign hotel Renome! Fitness zone of the hotel promotes relaxation, improves the general condition of the body and maintain a positive mood! View photo.